North Korea has just delivered a brushback pitch, warning the United States and South Korea that inclusion of nuclear assets like the B-52s in joint military exercises—not the exercises themselves—is inconsistent with President Trump’s pledge at President Moon’s urging to move toward peace in Korea. And peace is a critical part of Pyongyang’s aim in its diplomatic give-and-take with Washington and Seoul. That’s why US and South Korean military authorities were right to cancel the B-52 flights. Washington resumed B-52 flights after a long hiatus after Pyongyang conducted its first nuclear test in 2006. When North Korea suspended nuclear and missile testing, it expected the United States and South Korea to exclude nuclear assets from their joint military exercises on the Korean Peninsula. 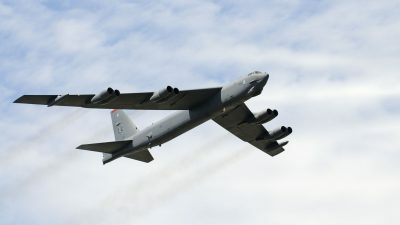 To the North, the resumption of B-52 flights now were a sign that President Trump may be tempted to heed the advice of John Bolton and other hardliners to confront Kim Jong Un at the summit with an ultimatum to disarm or else in the mistaken belief that brandishing sanctions and threatening war gives Washington leverage. But Kim retains far greater leverage by resuming nuclear and missile tests and making more weapons. 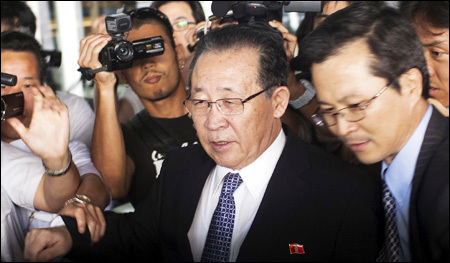 Washington believes that pressure brought Kim to the negotiating table. Yet Pyongyang signaled its current course more than three years ago in informal contacts, long before tougher sanctions took effect. US demands that Pyongyang suspend nuclear and missile tests as a precondition to talks without getting anything in return had only delayed diplomatic give-and-take for five years, enabling it to add to its nuclear capacity and boost its bargaining leverage in the meantime. Trump, by dropping those preconditions, opened the way to the summit, evidence that honey works better than vinegar. Kim is not about to commit to denuclearize completely, Trump’s ultimate goal, without a reciprocal commitment from Trump to end enmity and move to peace in Korea. Such reciprocal pledges will serve as the basis of a Trump-Kim summit communique, as Secretary of State Mike Pompeo hinted after his last meeting with Kim. An end to US enmity has been the Kims’ aim for thirty years. Throughout the Cold War, Kim Jong Un‘s grandfather, Kim Il Sung, had played China off against the Soviet Union to maintain his freedom of maneuver. In 1988, anticipating the Soviet Union’s collapse, he reached out to reconcile with the United States, South Korea and Japan to serve as counterweights to China. The North’s need only intensified as China’s power grew. For Washington, the point of these agreements was the end of Pyongyang’s nuclear and missile programs—with some success. For nearly a decade under the Agreed Framework, when the North had no nuclear weapons, it shuttered its production of fissile material and conducted just two test-launches of medium and longer-range missiles. It did so again from 2007 to 2009. Both agreements collapsed, however, when Washington did little to implement its commitment to reconcile and Pyongyang reneged on denuclearization. His denunciation of the Libya model prompted the White House to deny it had that model in mind. Trump and Kim both want a successful summit. Whether Kim means to keep his pledge to disarm is idle speculation. Sustained diplomatic give-and-take with concrete proposals for reciprocal steps is the only way to find out.